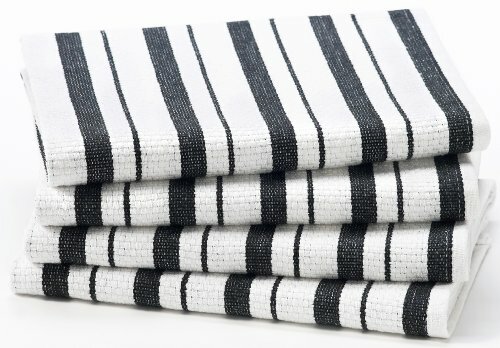 Our colorful high quality striped kitchen towels are the real deal. 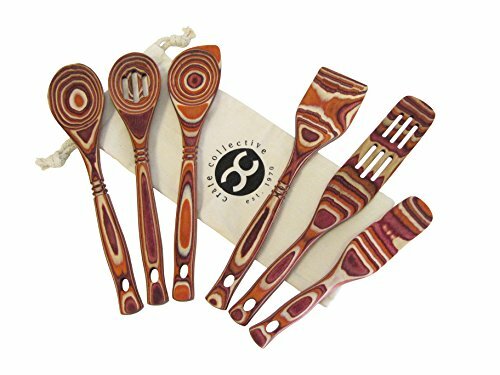 These are available in very high quality and high end gourmet cooking and kitchen stores found in luxury malls and expensive neighborhoods. Towels are made from 100% Pure Cotton. They are oversized and feature a very convenient hanging loop. They are easy to care for and can be machine washed with ease. Vintage fruit crates come to life on these easy care kitchen rugs. A non-skid backing and plush, soft face will make spending time in the kitchen even more enjoyable. Printed on the same machines that manufacture one of the world’s leading brands of printed carpet, this rug is extremely durable and vibrant. This technology allows the use of multiple colors to create a rug that is wonderfully designed and applicable to any room in your home. Printed on the same machines that manufacture one of the world’s leading brands of printed carpet, this rug is extremely durable and vibrant. This technology allows the use of multiple colors to create a rug that is wonderfully designed and applicable to any room in your home. With this gorgeous contemporary style and fruit themed print, this rug's pile height is 13/32 in high. Remember to keep the pile and fabrics in tip top shape. Area rugs should be spot cleaned with a solution of mild detergent and water or cleaned professionally. Regular vacuuming helps rugs remain attractive and serviceable. Only the best quality materials will do. This rug is printed with a cut pile on Wear Dated 100% nylon, backed with latex. Made in USA. Sometimes well-aged items make the best decor. 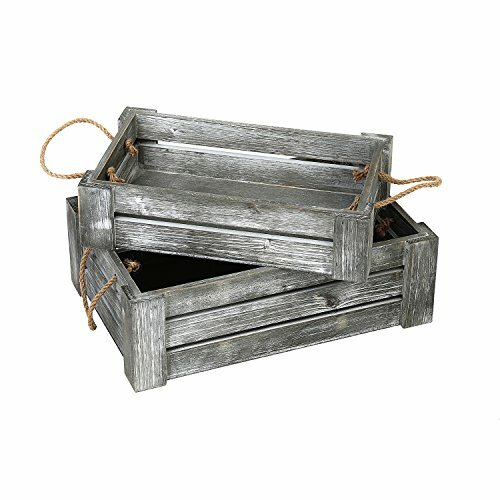 This set of nesting wood crates has a weathered country style to add rustic storage in and around the home. 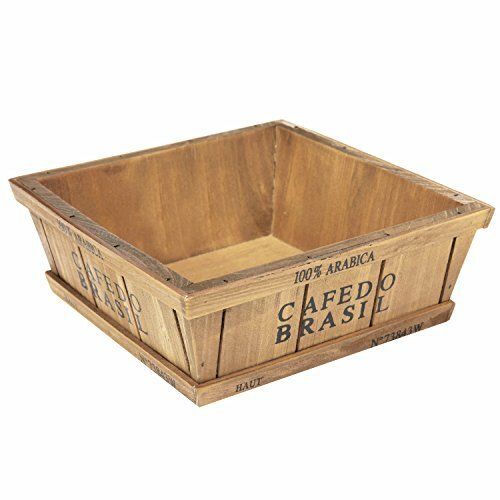 These shoebox-sized boxes are perfect for storing and displaying towels or toiletries in the bathroom, books or liquor bottles in the living room, or for providing an attractive container for small flower planters on the front porch or patio. 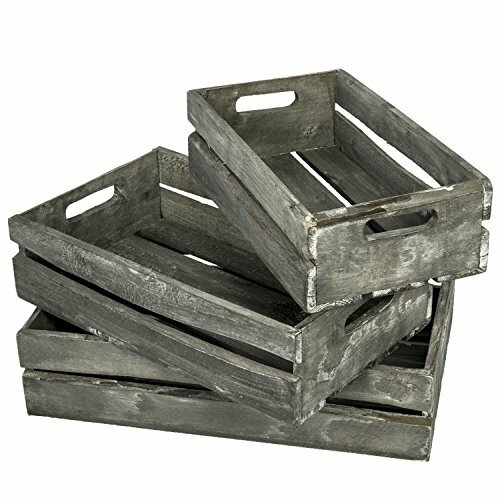 A sturdy construction ensures reliable functionality, while the convincing antique look ensures that these vintage-style fruit crates will make an attractive complement to your home decor. 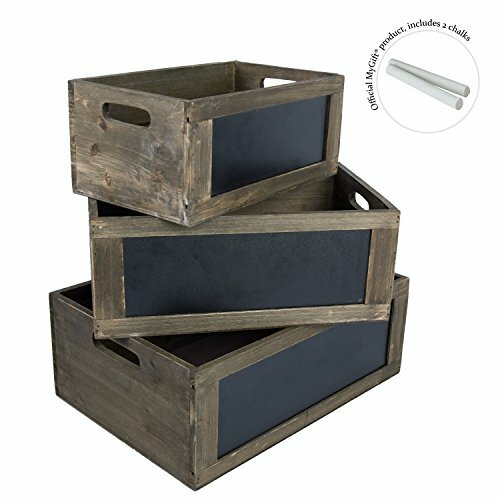 **Official MyGift® product**Approximate Dimensions (in inches): Large - 5.0 H X 15.5 W x 10.0 D; Small - 3.25 H X 13.75 W x 8.25 D.
This set of 3 country rustic nesting crates create storage while staying stylish. A rectangular wooden construct and two cutout oval handles, make it easy to carry these containers from place to place. A chalkboard surface allows you to write down the crate's contents and easily erase it too. There is a limitless amount of ways to utilize this crate set. Add them to your kitchen for extra storage of produce, utensils, spices, snacks and more. 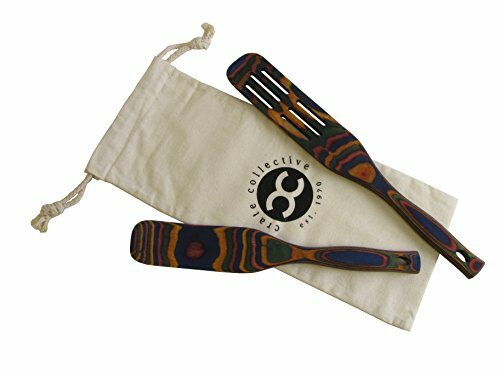 Use them in your bathroom to hold lotions, hand towels, cosmetics, makeup or toiletries. Create storage in your office space for electronics, memos, and other office supplies. With so many possibilities, its hard to find a place these rustic boxes can't go. 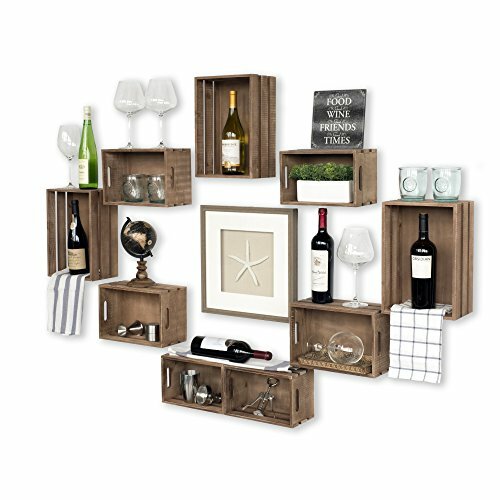 **Official MyGift® product**Approximate Dimensions (in inches): 4.75 H X 14.25 W X 8.5 D.
DIY and design expert, Leigh-Ann Allaire Perrault, has genius DIY hacks using inexpensive crates to pull off a chic farmhouse aesthetic. 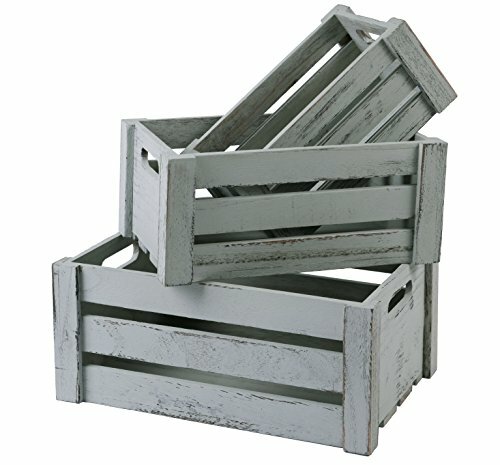 Compare prices on Kitchen Crate at ShoppinGent.com – use promo codes and coupons for best offers and deals. Start smart buying with ShoppinGent.com right now and choose your golden price on every purchase.